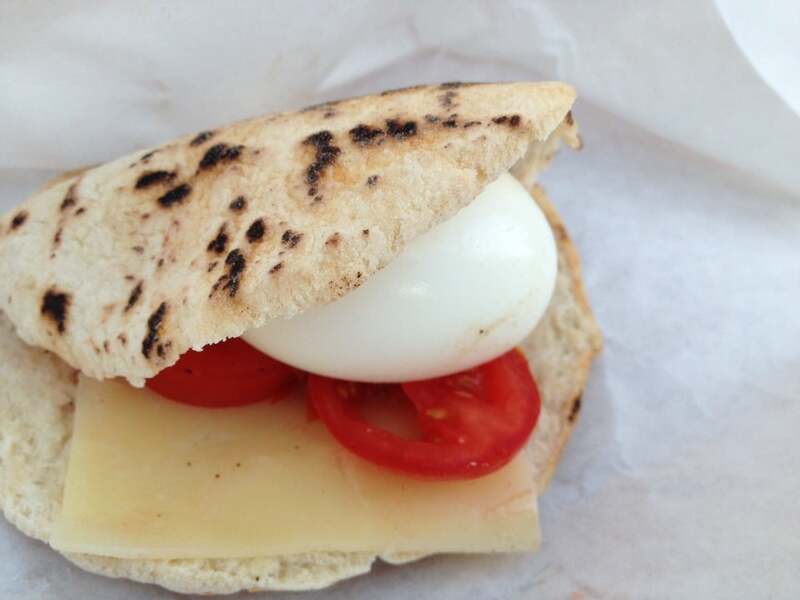 This simple breakfast sandwich consists of a slow-boiled egg, a slice of cheddar, and a tomato on pita. Deceptively simple—until you bite into the egg and the warm gooey yolk mixes with the other ingredients. This is no rubbery fast food breakfast sandwich!